President Muhammadu Buhari on Wednesday signed into law, the Discrimination against Persons with Disabilities (Prohibition) Act. The bill which has lingered in the National Assembly for 18 years, seeks to criminalise discrimination against persons with disabilities. This bill was passed by the 8th Senate on March 28, 2018. In December, it was transmitted to the president for assent for the 4th time since 1999. According to Ita Enang, the president’s National Assembly liaison officer, who announced the assent on Wednesday night, the new bill would see corporate entities and individuals face sanctions if found guilty of discriminating against persons with impairments. The signing of the bill however, comes days after the president and his deputy claimed the executive is yet to receive the bill. It also comes days after Mr Buhari accused lawmakers of not passing the bill during a town hall appearance with Vice President Yemi Osinbajo. But lawmakers rejected the claim, saying they passed the law since 2018 and submitted it to the president for assent. A document later circulated on social media showing that the State House acknowledged receipt of the bill. The law brought a major relief to anti-defamation campaigners, who accused the Nigerian government of not doing enough to protect citizens with disabilities. 1. The Act prohibits all forms of discrimination against persons with disability. 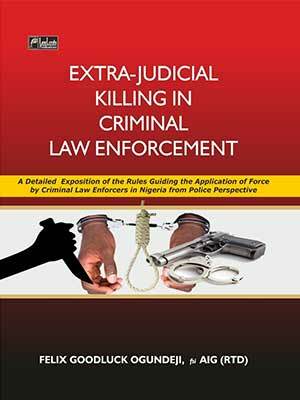 If an individual is found violating this law, he/she will pay a fine of N100,000 or a term of six months imprisonment. The law imposes a fine of one million naira on corporate bodies. 2. Discrimination against such persons is prohibited in public transportation facilities and service providers are to make provision for the physically, visually and hearing impaired and all persons howsoever challenged. This applies to seaports, railways and airport facilities. 3. The rights and privileges of persons with disability include education, health care, priority in accommodation and emergencies. 4. All public organisations are to reserve at least five per cent of employment opportunities for these persons. 5. The Act gives citizens with disabilities the right to file a lawsuit for damage against any defaulter. 6. It provides for a five-year transitional period within which public buildings, structures or automobile are to be modified to be accessible to and usable by persons with disabilities, including those on wheelchairs. 7. Before a public structure is constructed, its plans shall be inspected by relevant authorities to ensure that the plan conforms with the building code. 8. A government or government agency, body or individual responsible for the approval of building plans shall not approve the plan of a public building if the plan does not make provision for accessibility facilities in line with the building code. 9. An officer who approves or directs the approval of a building plan that contravenes the building code, commits an offence and is liable on conviction to a fine of at least N1,000,000 or a term of imprisonment of two years or both. 10. In Section 31 of the Act, the National Commission for Persons with Disabilities will be established and an Executive Secretary will be appointed as the head of the commission.